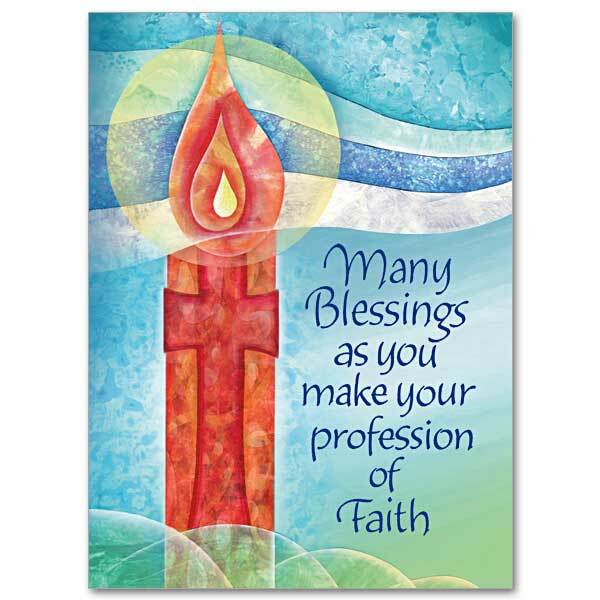 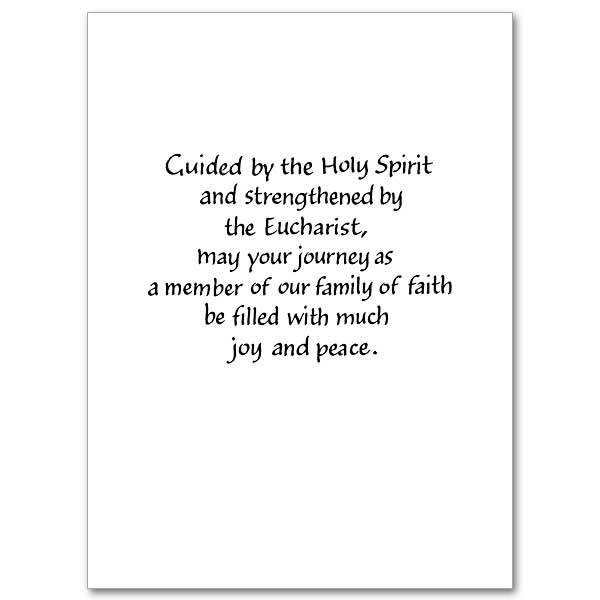 Guided by the Holy Spirit and strengthened by the Eucharist, may your journey as a member of our family of faith be filled with much joy and peace. 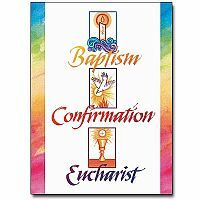 Paper collage and gouache design of a red Easter candle with cross and a brilliant flame against a background of blue and green, with waves representing the waters of baptism. 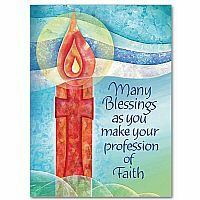 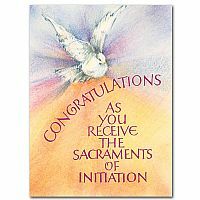 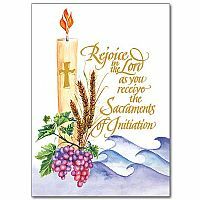 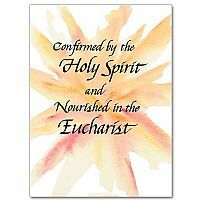 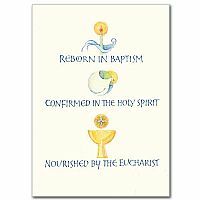 This card is intended for a baptized Christian of another tradition who has professed the Christian faith in the Catholic Church.